It’s time for Featured Job Friday! This week’s featured job comes to us from Custom Concrete & Foundation Specialists out of Edgerton, KS. 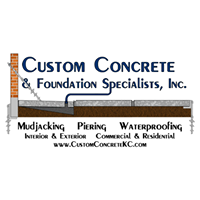 CCFS is a Kansas City leader in foundation repair, basement wall repair, waterproofing, mudjacking and much more. Dale and Tammy Morgan have been working in the industry for many years, and know foundations and concrete inside and out. This job is a perfect example of why you need to be vigilant if you are a home or business owner. 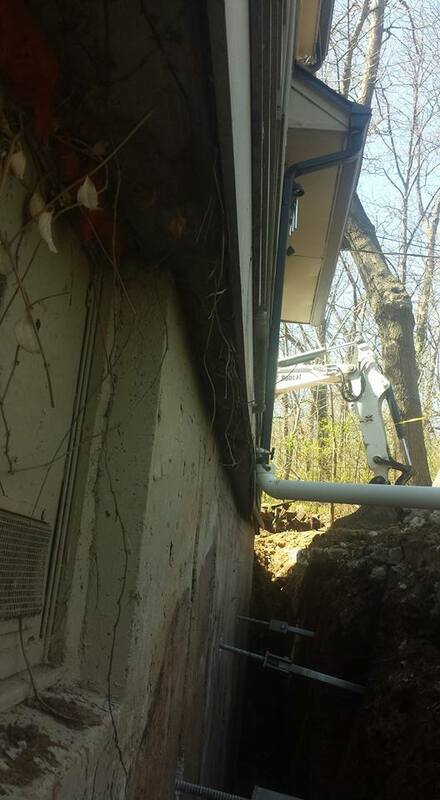 Many times, landscaping or vegetation can hide very serious foundation problems. It’s important to inspect the inside and outside of your home for problems like wall cracks, water seepage, and even moldy or musty smells as they may be an indicator of a hidden problem like bowed walls. 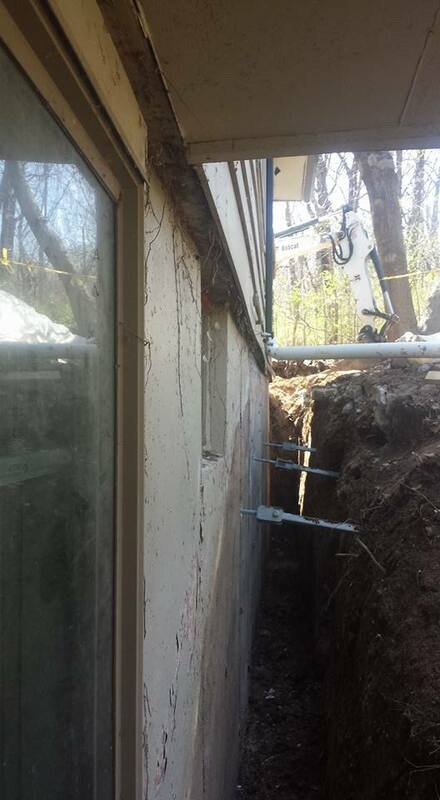 In the Lake Quivira, KS home where our featured job comes from this week, the walls were pushed in 6 inches, and it was hidden from sight by a patio and vegetation. Custom Concrete & Foundation Specialists, Inc. was able to straighten these walls with ECP tiebacks back to their original position. Bowed walls are a huge danger to the overall health of your home. The foundation has to support the weight above it, and if bowed walls aren’t repaired it can easily lead to foundation failure. Thanks to CCFS, this home is no longer under stress and the customer is happy and safe! If you are a homeowner, find an ECP Contractor in your area to help you determine if you might have a hidden problem of your own. 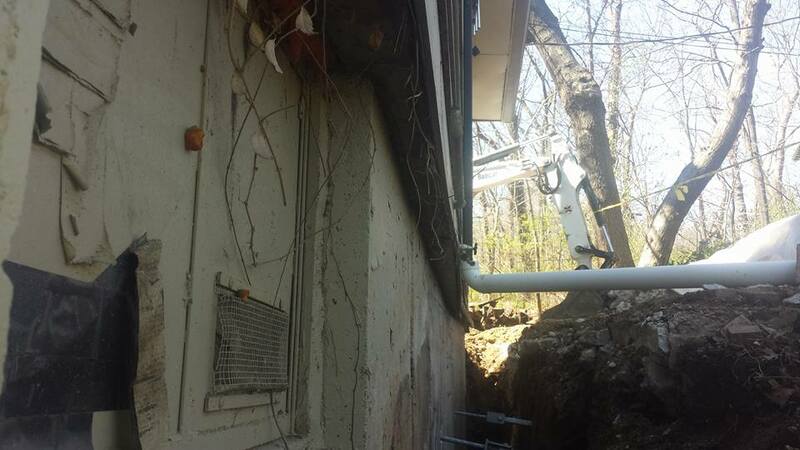 Remember, foundation problems should never be left unchecked. It’s the most important part of your home when it comes to the overall health and stability of your home. For more information on Custome Concrete & Foundation Specialists, Inc. visit their website at www.customconcretekc.com or give us a call. Thanks for a job well done CCFS, and keep up the great work. Thank you for being our partner!